Tacoma Program students succeed with the skills and experience they gain at Evergreen. In 2013, the Tacoma program had 188 students enrolled. 70 percent of students are women. 54 percent of students are people of color. 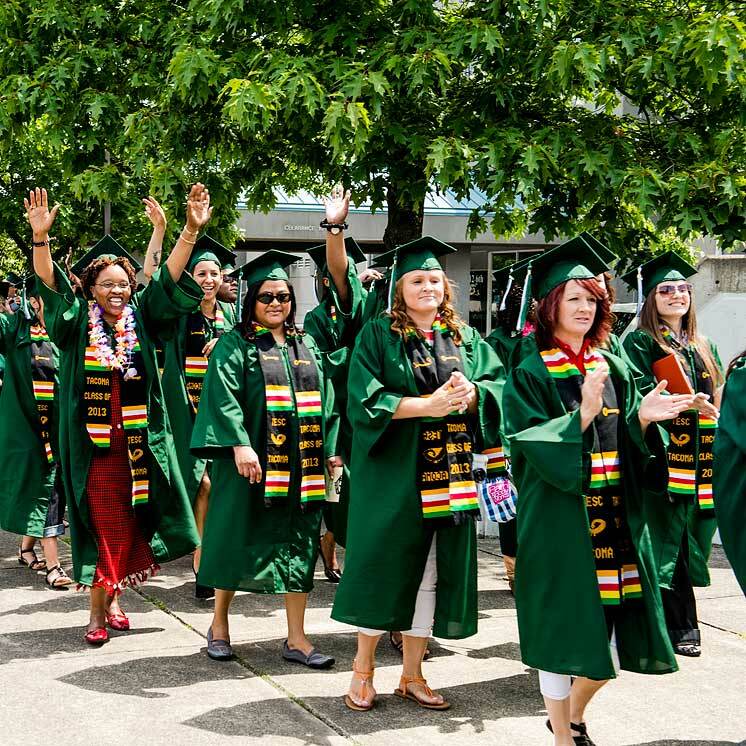 A third of Evergreen Tacoma students are African-American. More detailed information is available from Institutional Research. It has helped a new generation of Tacoma residents acquire the skills and confidence to take their places as leaders in the region. And it continues to influence the direction of 21st-century Tacoma. Students in the Tacoma program have gone on to a variety of graduate schools and careers. Many Tacoma students continue in a life of service as social workers, counselors, lawyers, and in public administration. Army Corporal Billy Agbavon received his bachelor's degree from The Evergreen State College during a May 28, 2013 graduation ceremony at Kandahar Airfield, Afghanistan. U.S. Army Corporal Billy Agbavon ’13 plans to attend graduate school in international relations after finishing his tour in Afghanistan. Find out about his journey from West Africa to Evergreen Tacoma. “Tacoma is my home, and it’s important to me to be rooted there,” Monica Hunter-Alexander ’13, a 17-year veteran with the Washington State Patrol who currently oversees executive protection for the governor, legislators, staff, and offices. Carol Wolfe ’96 uses her Evergreen Tacoma experience throughout the city of Tacoma, working with neighborhoods to build more owner-operated businesses (“they’re better stewards for the community”) and attract outside investors. Hunter-Alexander and Wolfe were featured in The Evergreen Magazine, Spring 2014. Read more of their stories.